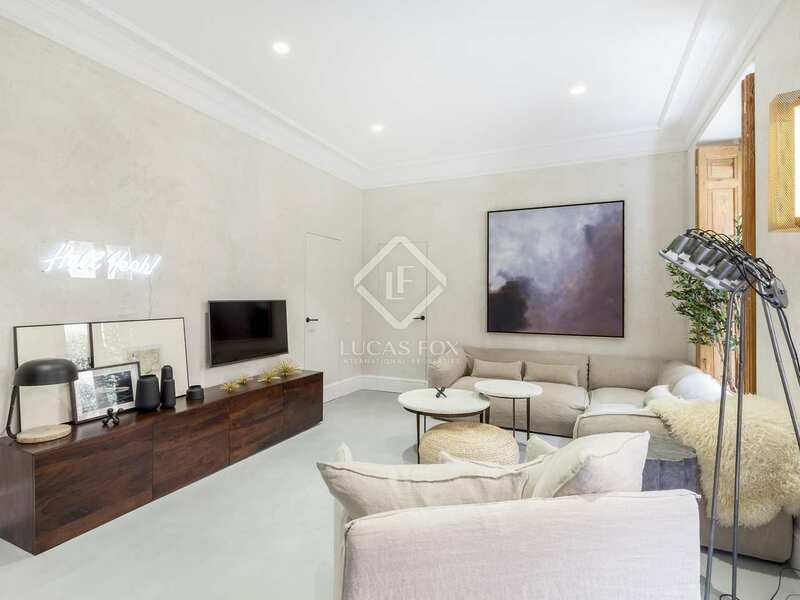 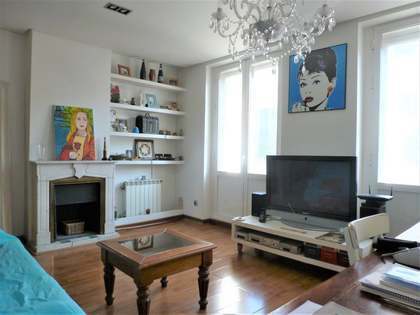 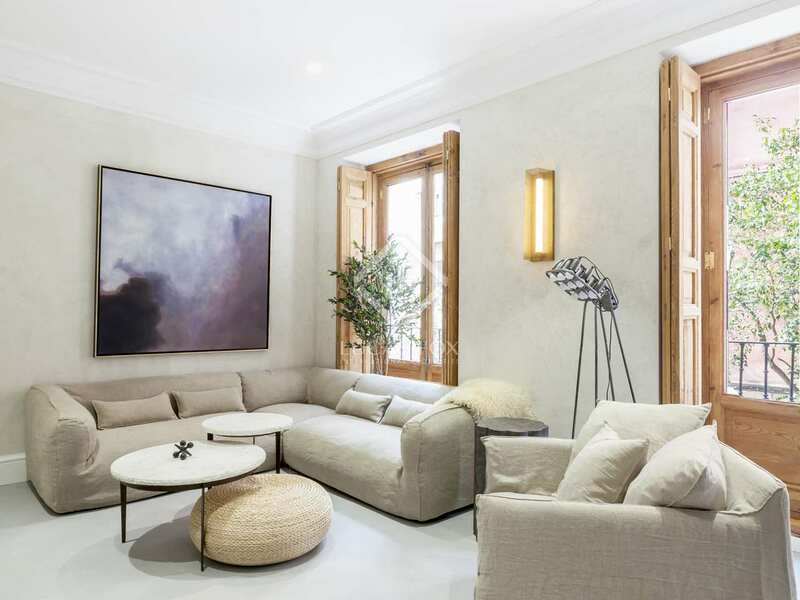 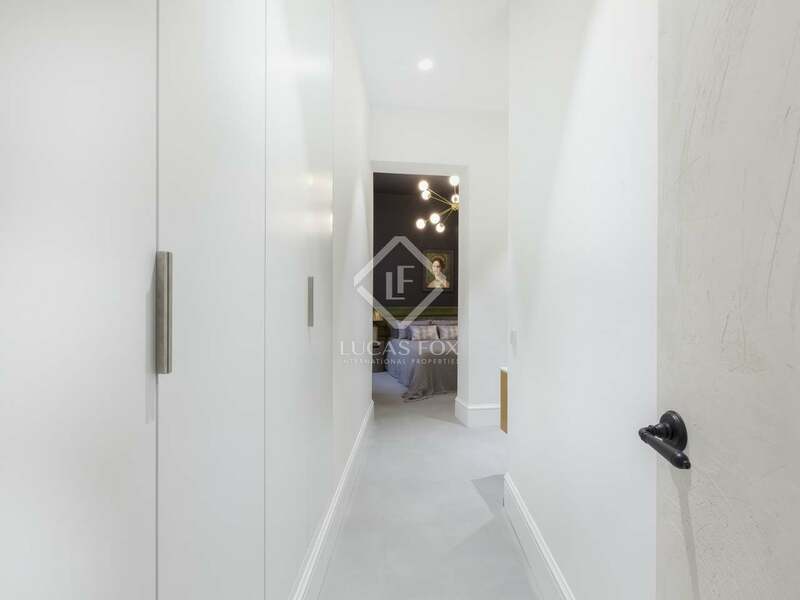 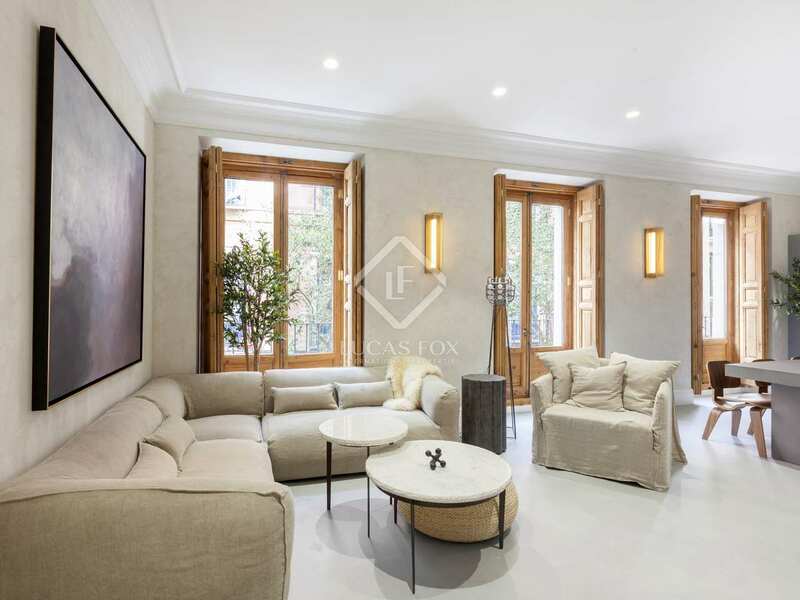 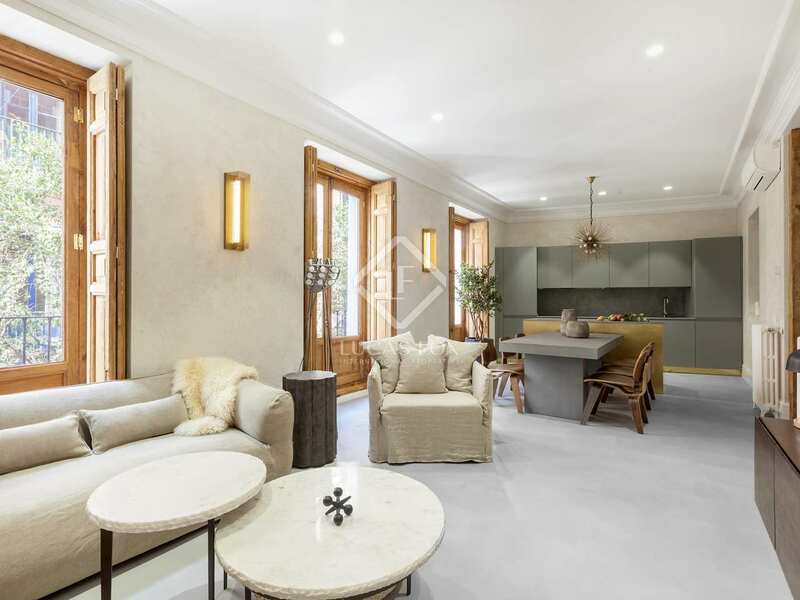 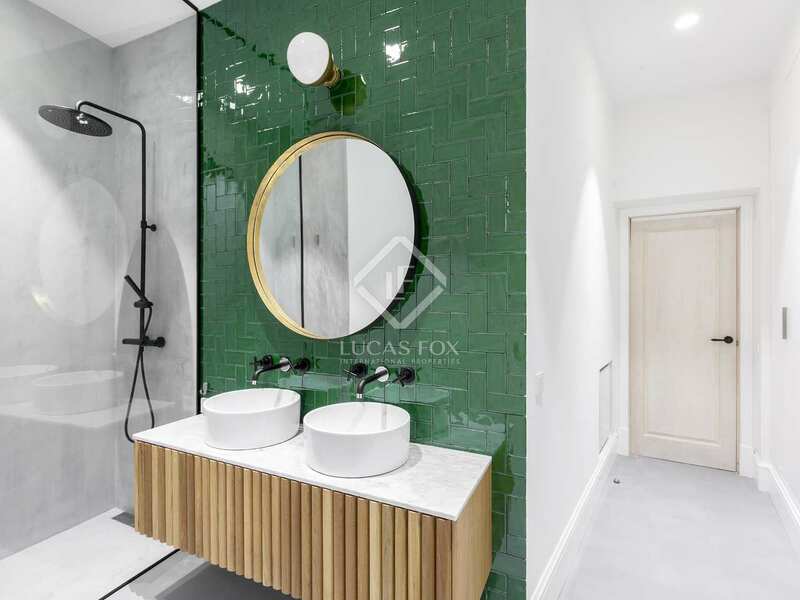 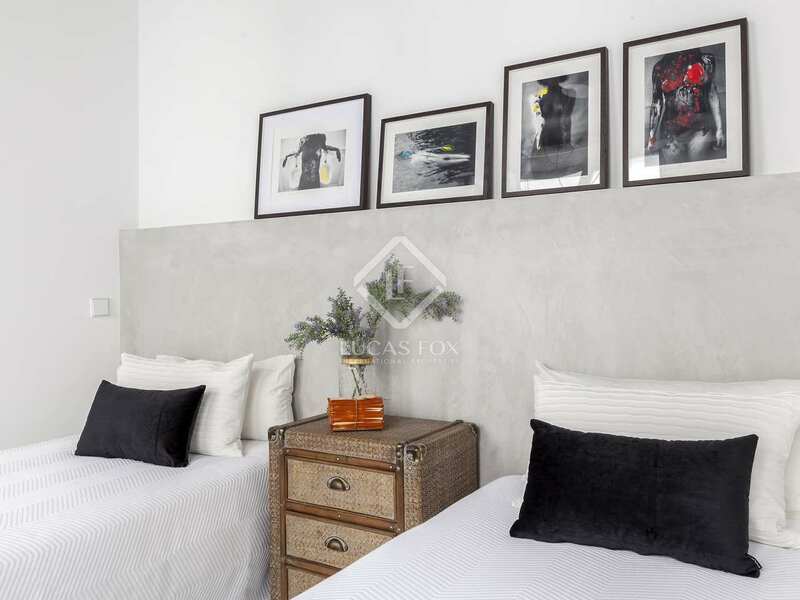 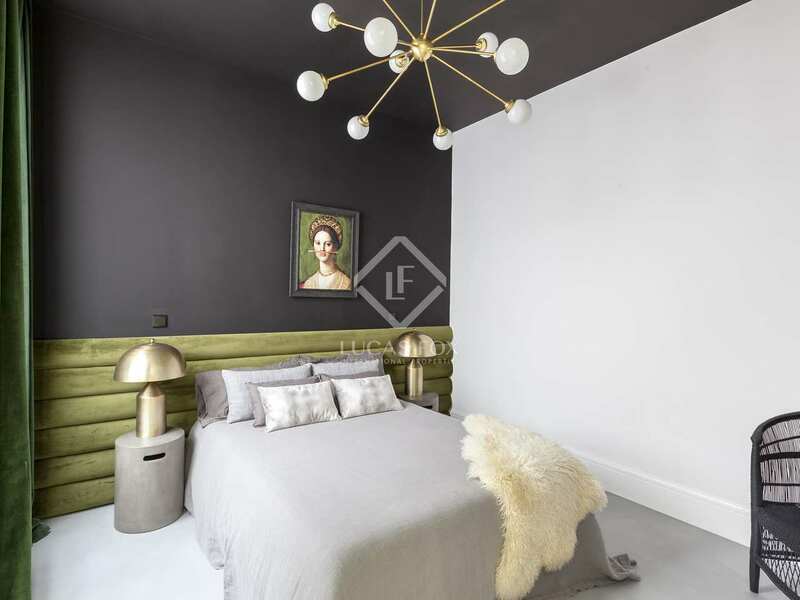 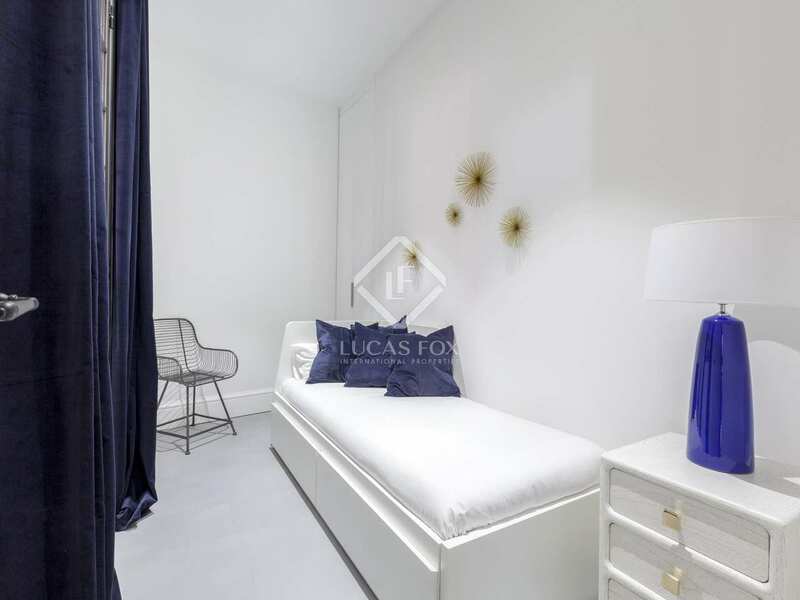 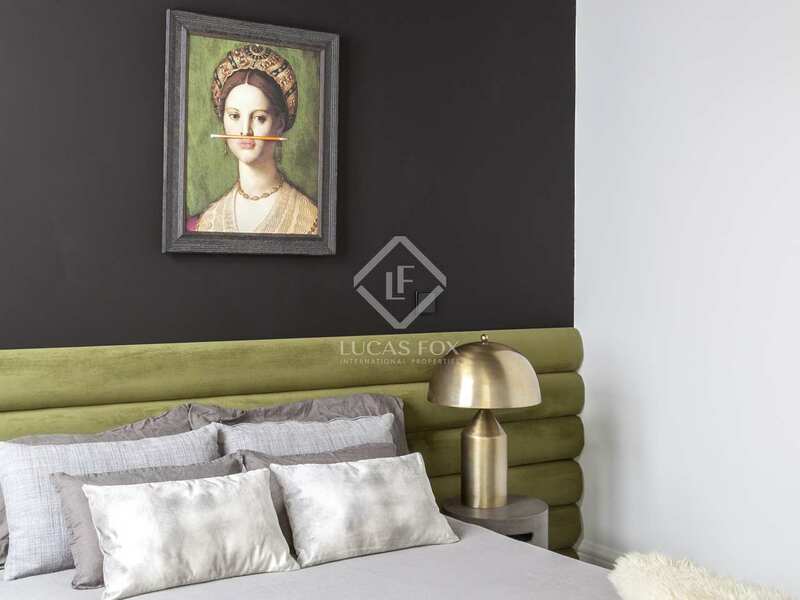 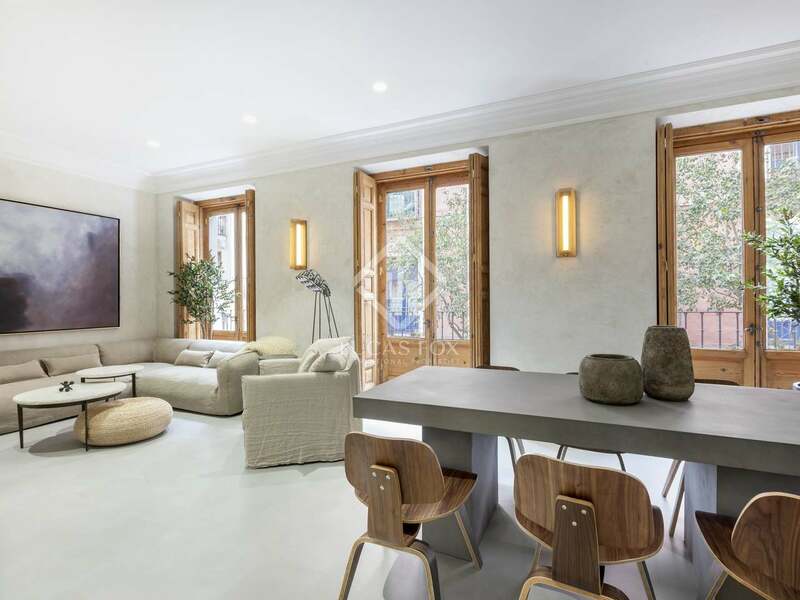 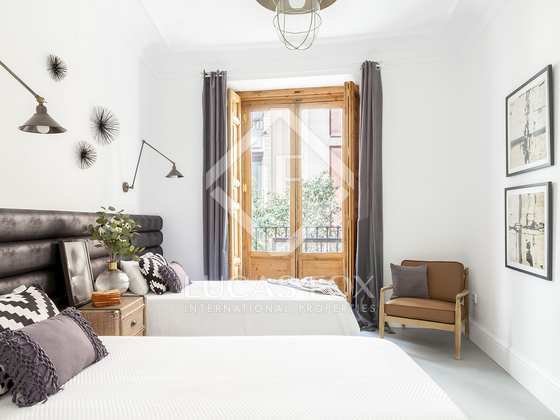 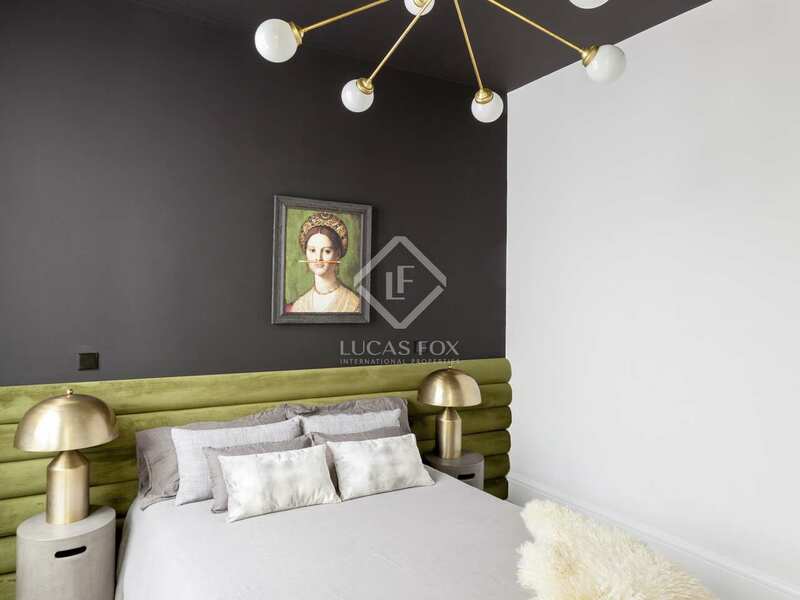 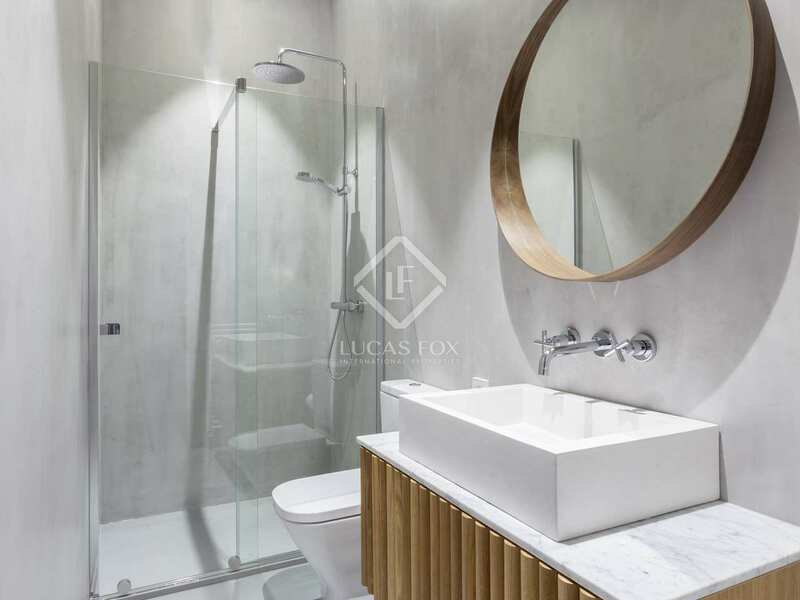 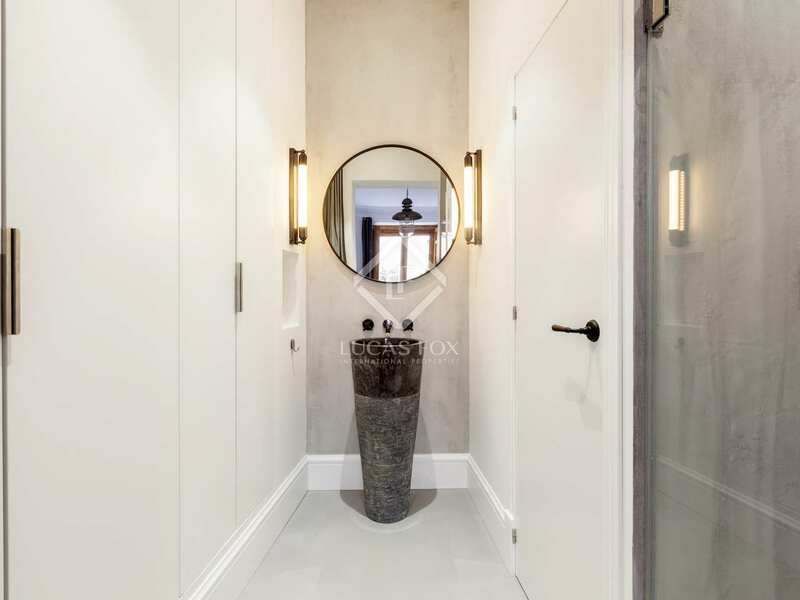 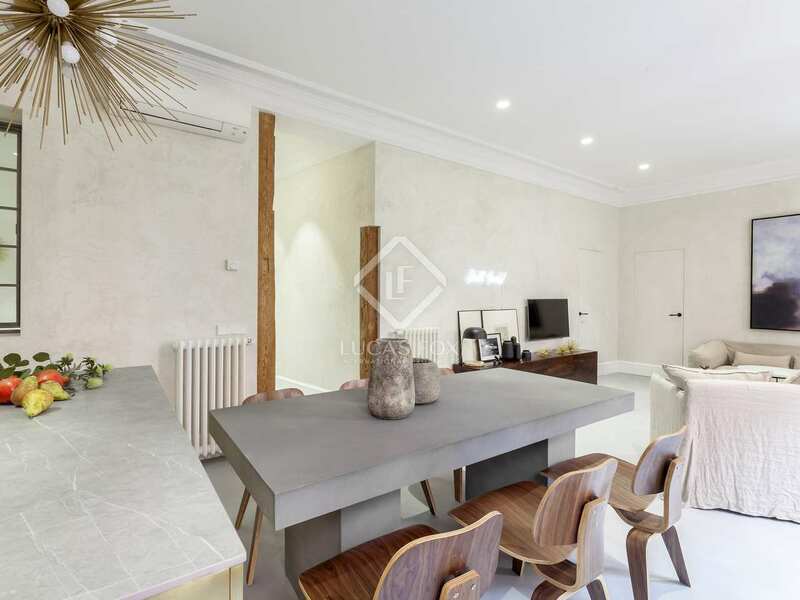 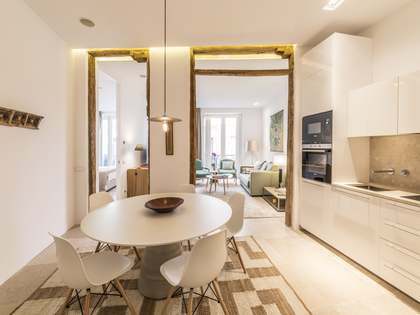 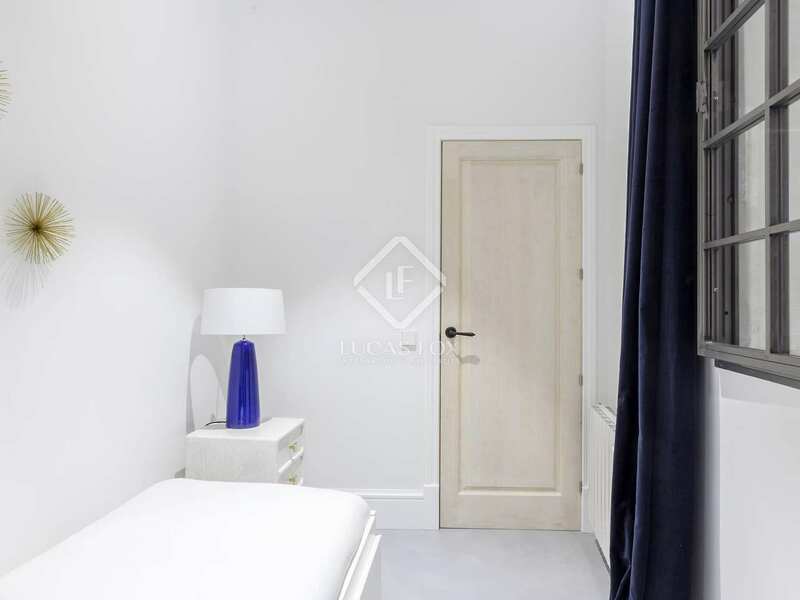 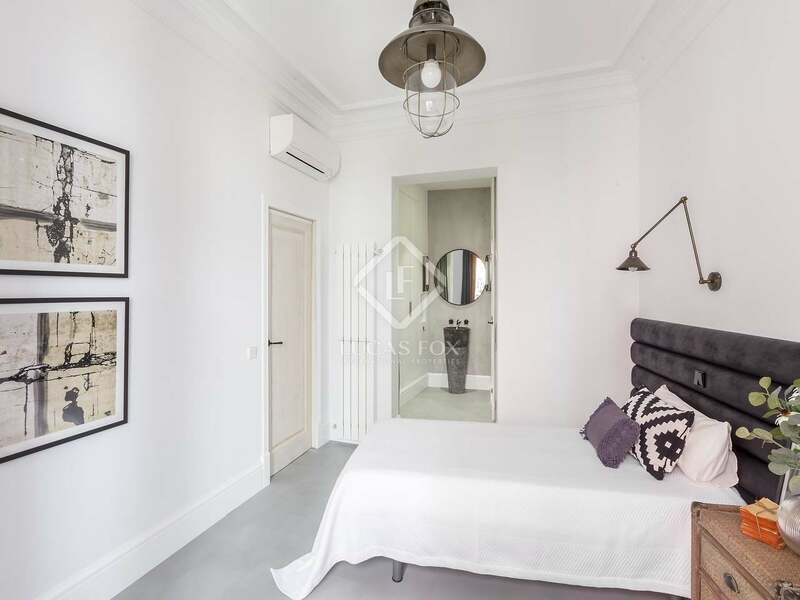 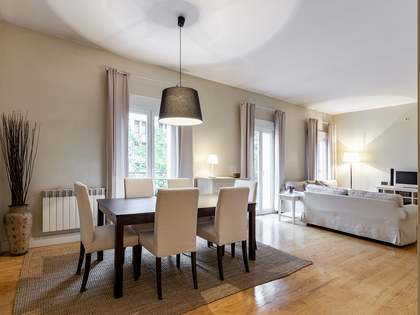 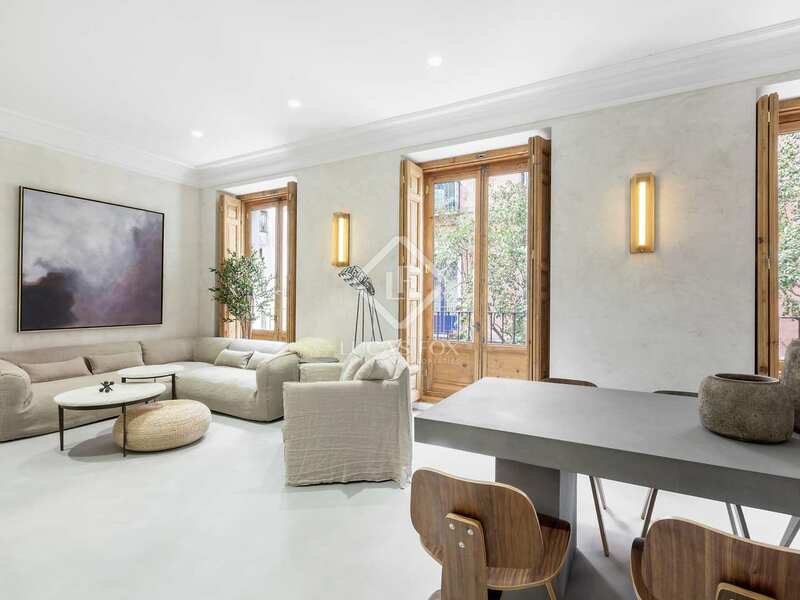 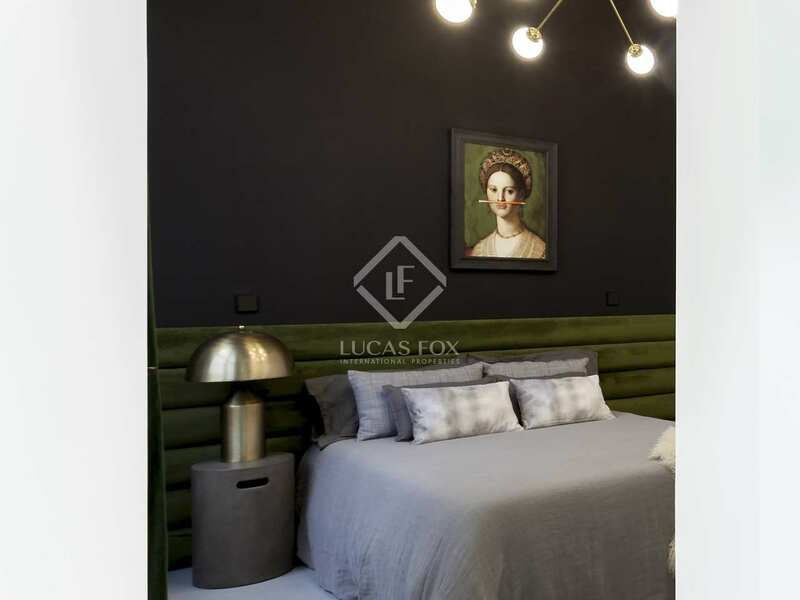 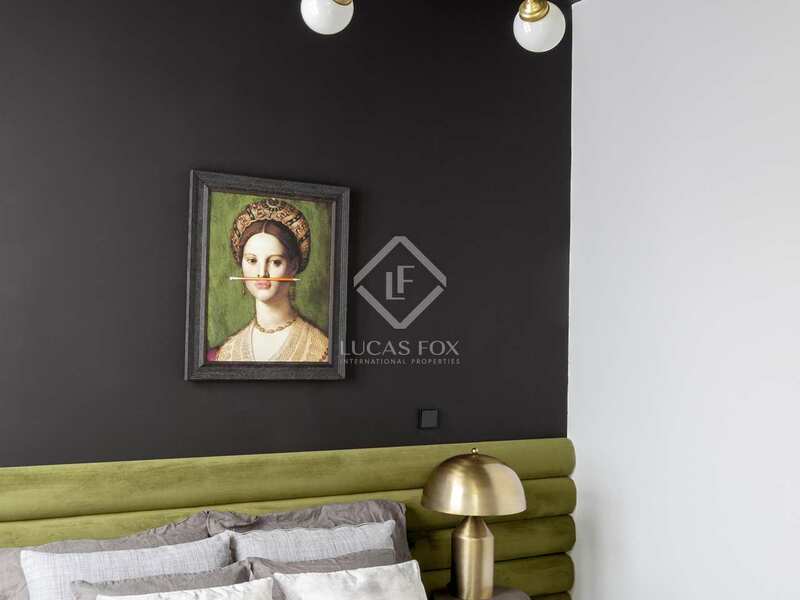 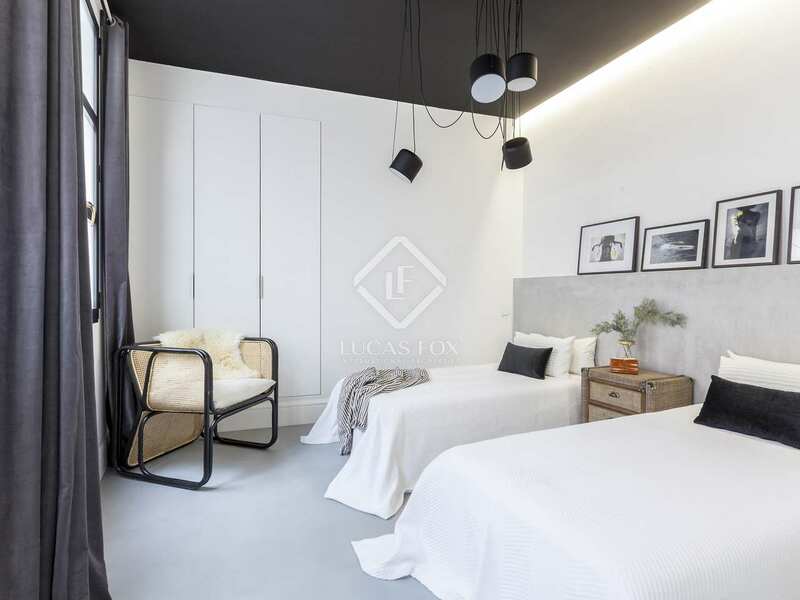 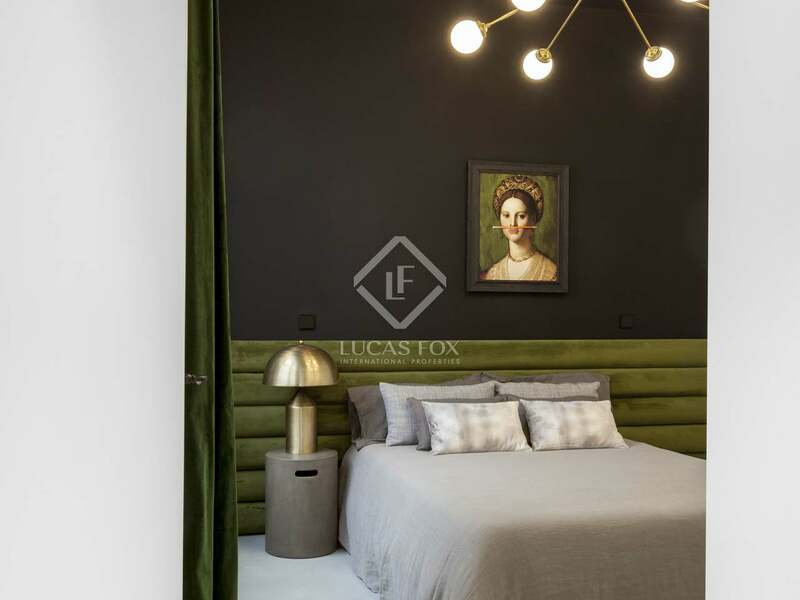 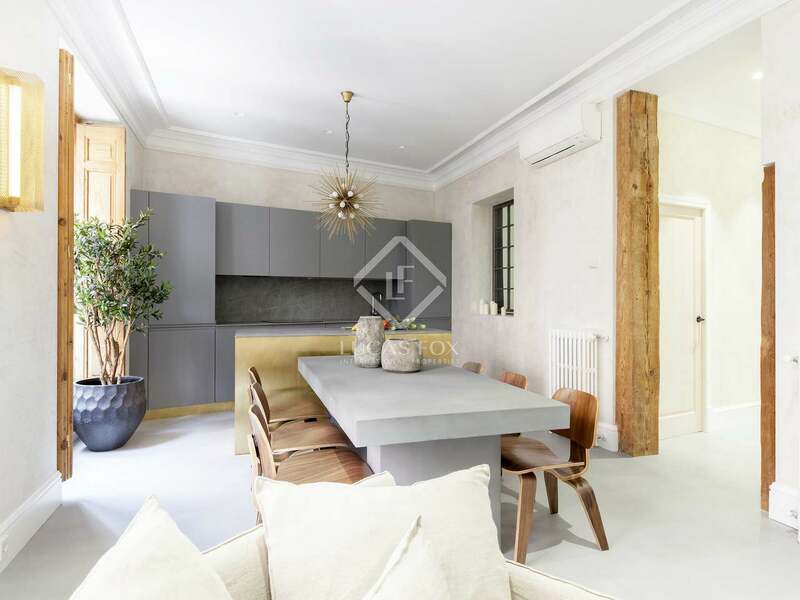 Luxurious, spacious, renovated apartment in a superb location in the heart of Malasaña, Madrid. 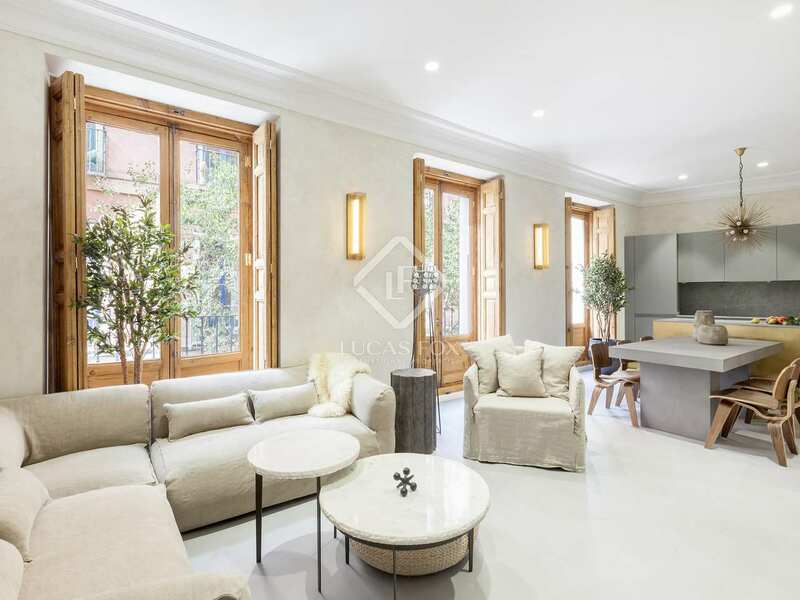 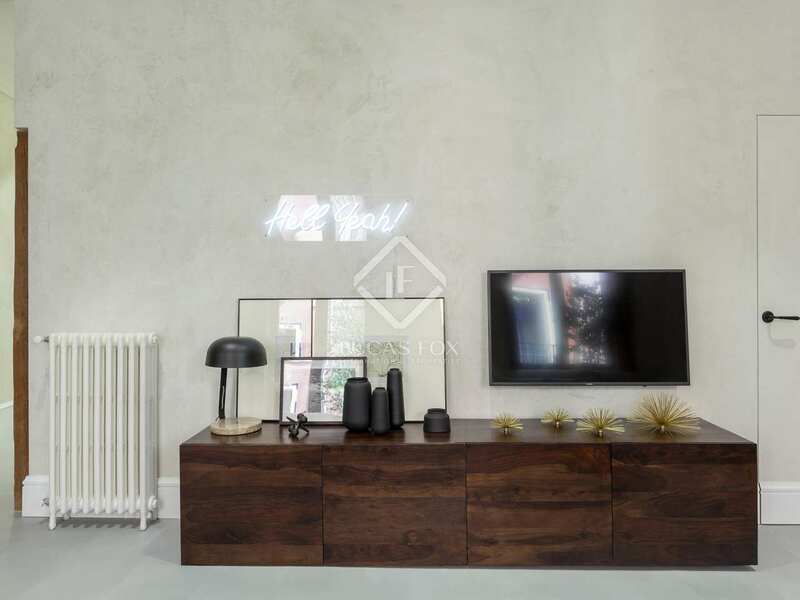 Situated on the second floor of a period building, we find this meticulously refurbished 4-bedroom and 3-bathroom apartment with 4 bright west-facing balconies. The location of the apartment, at the bustling heart of Malasaña, provides easy access to all the leisure and culture that Madrid has to offer. On entering the property we find the hall with a double bedroom to the left and a bathroom. 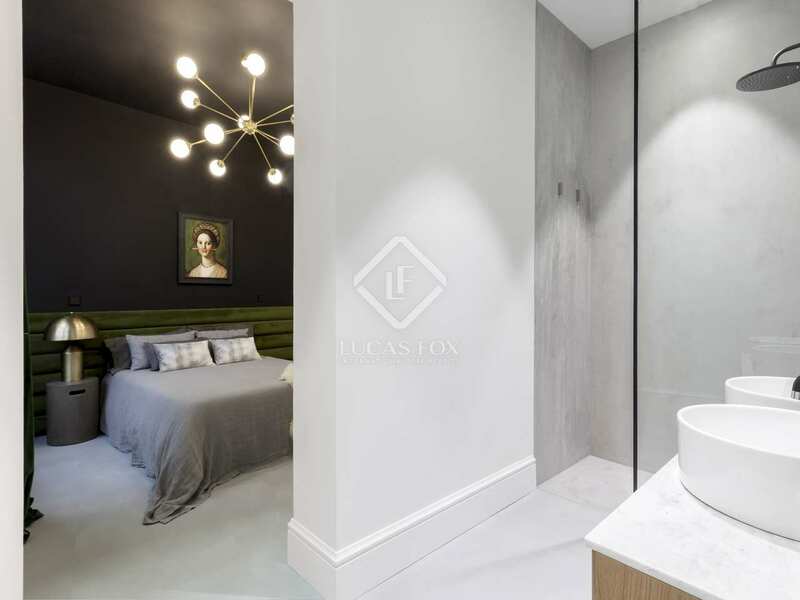 At the end of the hall on the right is another bedroom that could also be turned into an office. 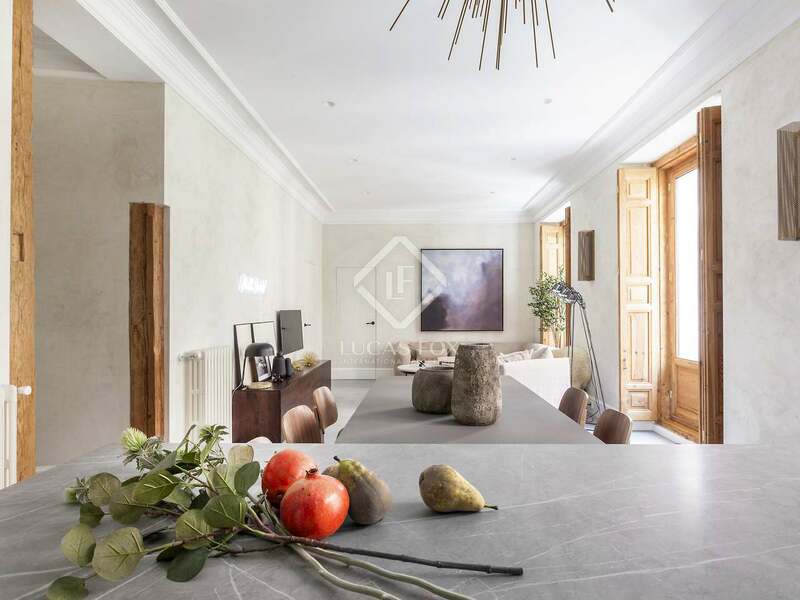 Also at the end of the hallway is the large 40 m² living area and kitchen, with 4 large balconies overlooking the street. 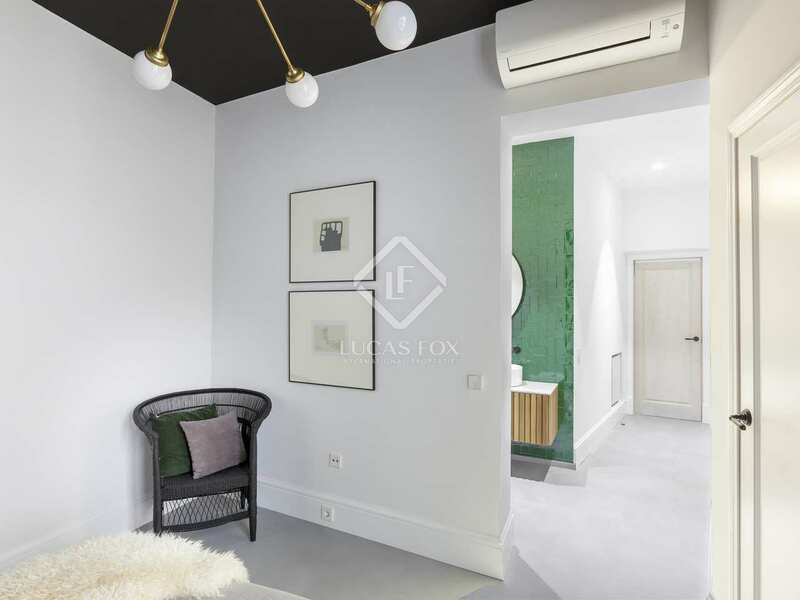 To the left of the living area is the large third bedroom with its ensuite bathroom and the master bedroom, which also has an ensuite bathroom. 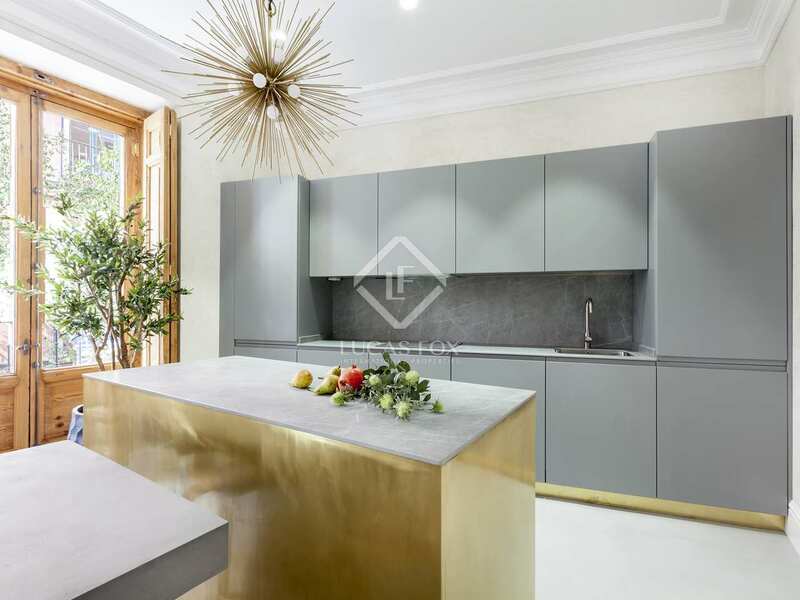 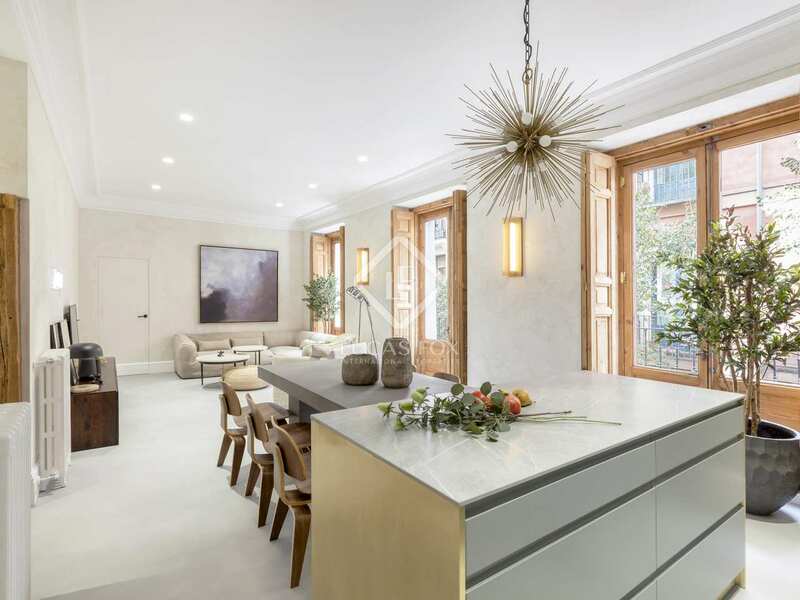 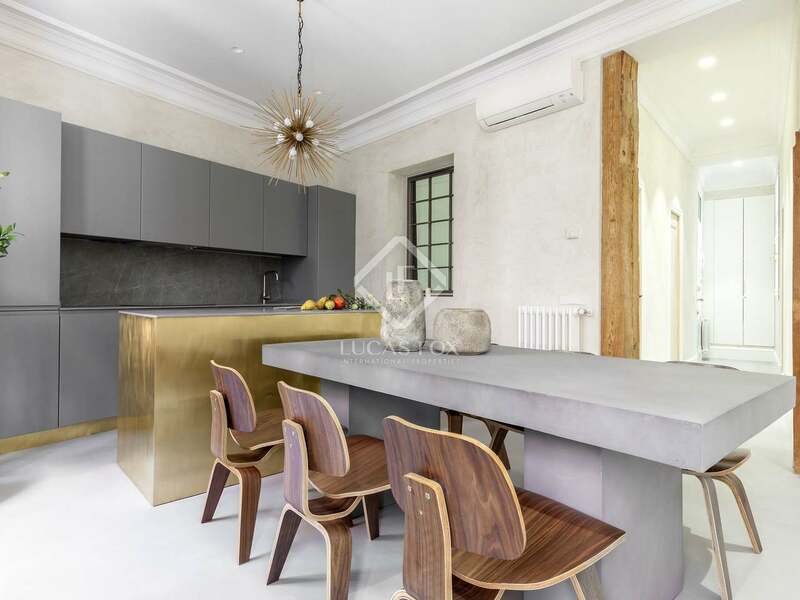 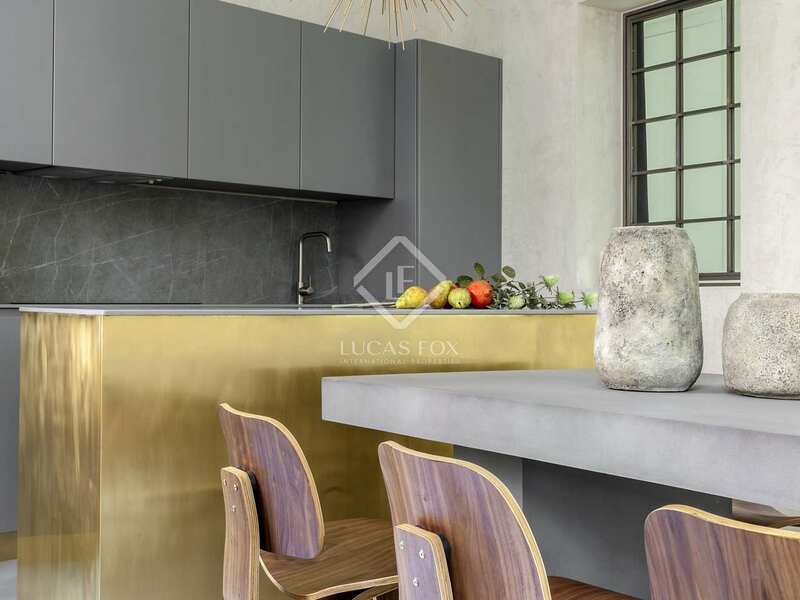 Luxuriously appointed with a modern and elegant feel, this impeccably renovated home features high quality lacquered finishes in the kitchen with a neolith worktop and Bosch appliances. 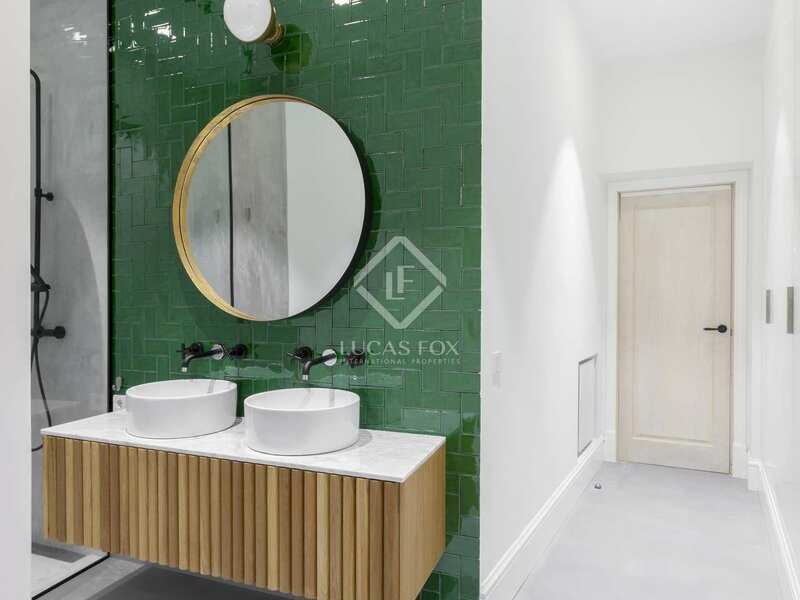 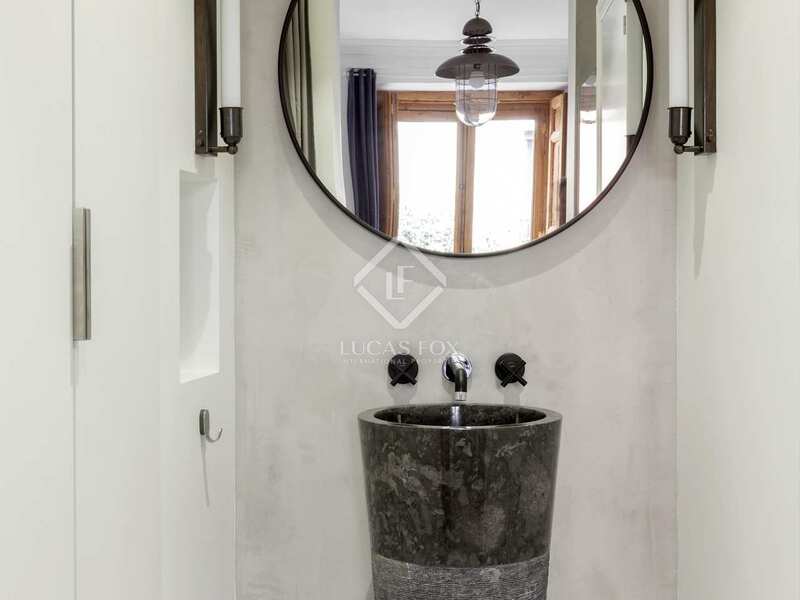 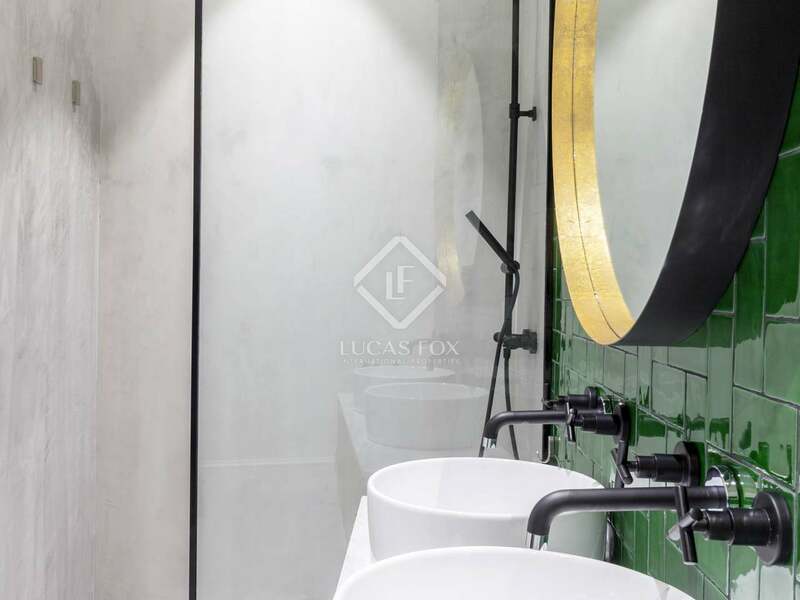 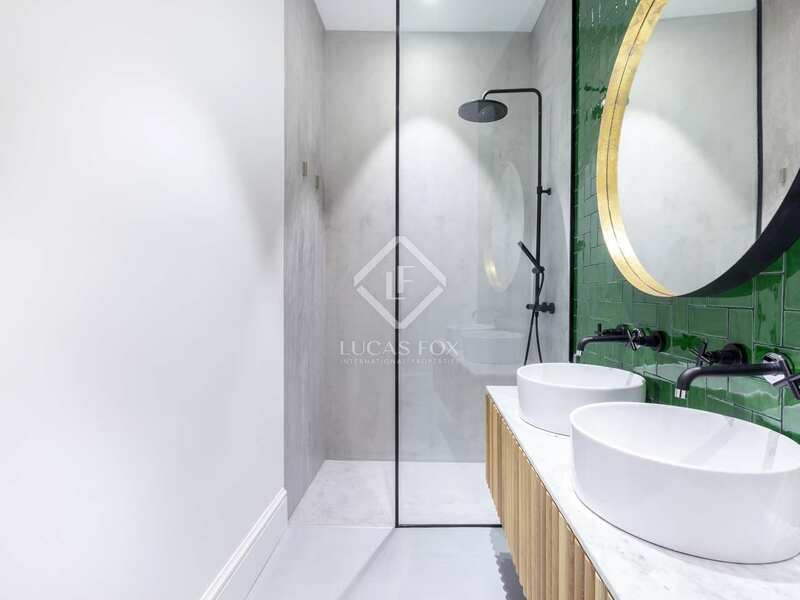 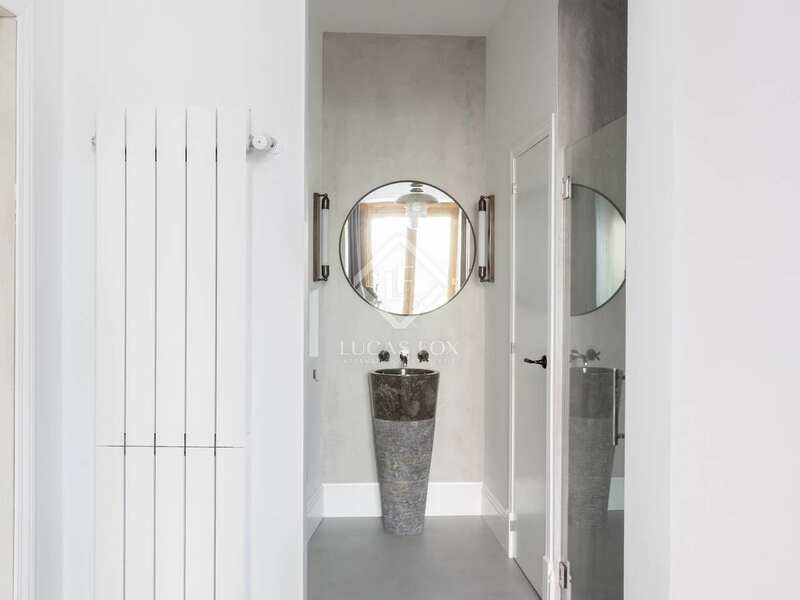 The bathrooms are fully equipped with solid wood furniture and Carrara marble. Furthermore, the ceiling heights of 3.2 metres allows for a sense of space throughout the apartment. 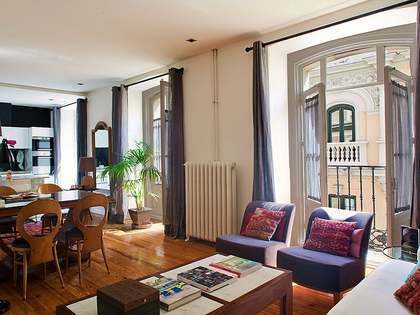 With the added benefit of a tourist licence, the apartment is a wonderful investment opportunity. 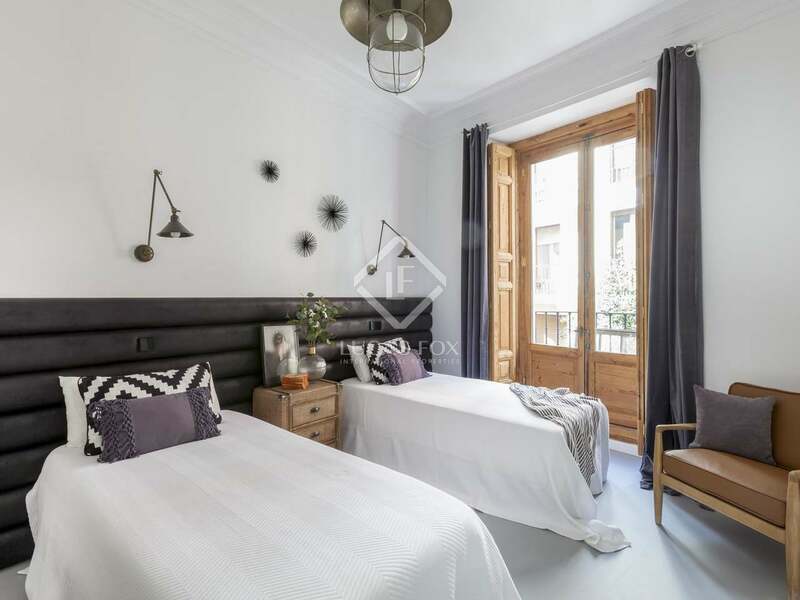 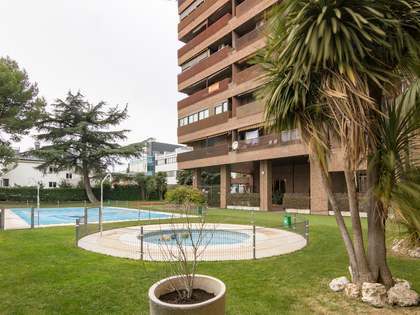 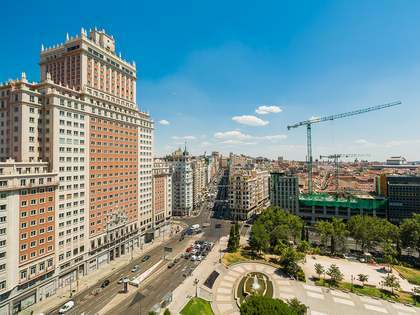 The apartment is situated in the bustling heart of Malasaña with easy access to the all the leisure and culture that Madrid has to offer, whilst also offering fantastic transport links.